Although some kids love memorizing scriptures, many children struggle with it. Without a creative way to introduce scripture memorization, it is easy for kids to get bored. How can you make memorizing scripture just as fun as other parts of your lesson? Give your kids a solid foundation in God’s Word by showing them how to hide God’s Word in their hearts. Find out 7 quick ways to help kids memorize and review key scriptures with this free download from RoseKidz. 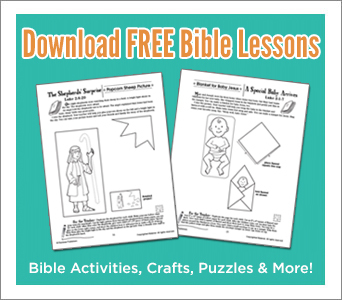 This free download not only gives fun activities to help kids learn specific scriptures on salvation, but it also shares game ideas that you can easily adapt for any memory verse. Whether you do these activities before, during, or after your Bible lesson— you’ll be helping kids hide God’s Word in their hearts forever. Appropriate for ages 5-10. Perfect for children’s church, mid-week services, Sunday School, homeschool, after-school sessions, and kids ministry! Feel free to share this free download with others! This free eChart includes 7 activities from this week’s exclusive 2-book-bundle, which is packed with over 100 puzzles, games, relays, and other activities to help kids memorize scripture and learn how to share the gospel! Save over 35% on this incredible reproducible book today. From John 3:16 to the Great Commission, give your kids a solid foundation in God’s Word with 52 Ways to Teach Memory Verses Activity Book! Packed with Bible games, crafts, relays, catchy songs, and more—kids will learn how to hide God’s Word in their heart with these 52 hands-on activities. Each activity is customizable, so you can easily adapt it to your lesson. Use it during your kids worship session, before your class, during down-time, or to help kids review their memory verses. Perfect for Kid’s ministry, VBS, homeschool, or for parents wanting to teach their kids more about God. Packed with reproducible puzzles, wordsearches, skits, crafts, snack ideas, games, and more, this reproducible activity book covers 52 ways to teach children how to share the gospel. How can you encourage kids to share their faith? How can you help them understand the meaning of salvation? This incredible activity book includes 52 ways to teach kids how to share God’s love with others. Whether it’s in another country or with their own family, kids will learn how to live out Jesus’ Great Commission to “Go and make disciples.” Through mind-bending puzzles, wordsearches, skits, games, and more—kids will discover how to share the love of Christ, how to encourage missionaries, how to pray for others, how to shine for Jesus, and more! Perfect for Kids ministry, VBS, homeschool, or for parents wanting to teach their kids more about missions. Age-Appropriate—Includes fun, kid-friendly Bible puzzles that get even the toughest kids thinking! It includes a range of both easy and challenging activities. Perfect for ages 5-10. Packed with Bible Puzzles and Activities— It includes more than 100 puzzles and activities that teach meaningful Bible verses and lessons in just a matter of moments! Don’t Wait! Save $10 For 4 days Only! Save over 35% on this 2-in-1 Activity Book Bundle. Get both “52 Ways” books for Just $13.99 (Reg. $23.99). Offer good while supplies last.